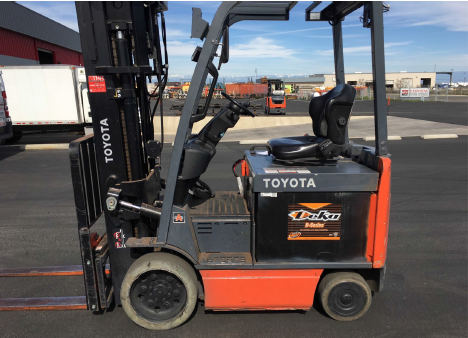 This used 2004, Model 7FBCU30, Toyota forklift is an exceptional piece of material handling equipment being offered by TMH. This 6,000 lb. capacity, electric powered lift has a 187" maximum mast height, sideshifting fork positioner, 48v battery and smooth cushion tires perfect for larger loads. 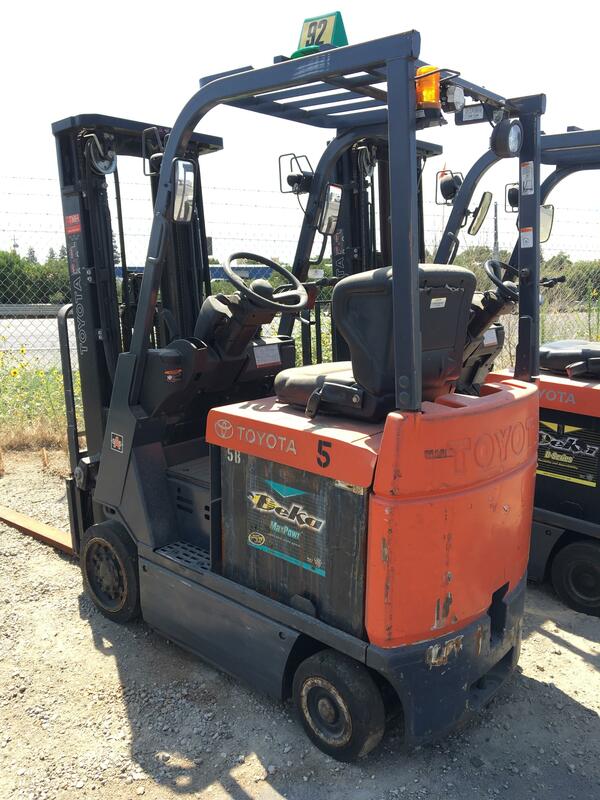 This used 2007 electric sit down forklift is an excellent piece of material handling equipment being offered by TMH. 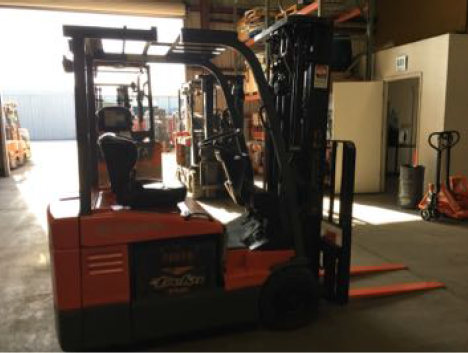 This electric lift comes equipped with a 189" maximum mast height, a sideshifter, and pneumatic tires for added convenience. 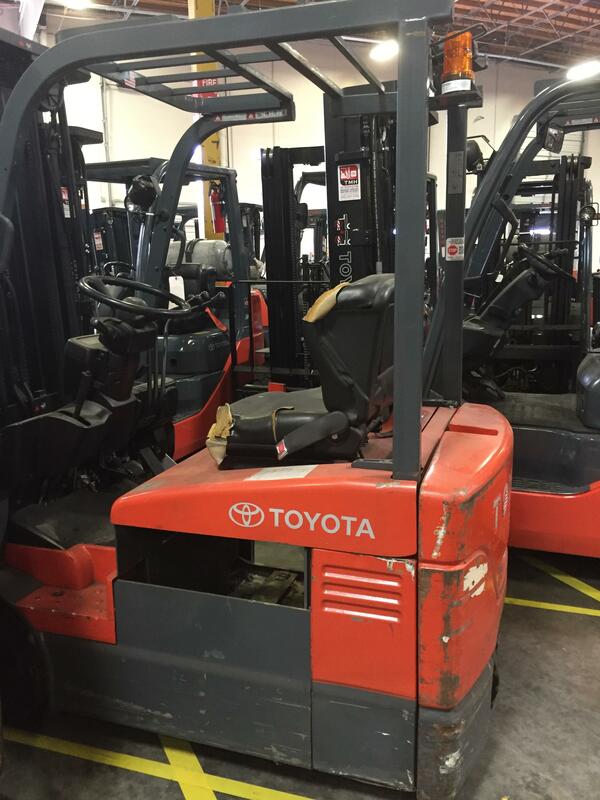 This used electric sit down forklift is an excellent piece of material handling equipment being offered by TMH. This electric lift comes equipped with a side shift, 189 FSV maximum mast height, a 48 volt battery and smooth cushion tires. 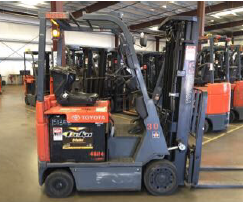 This used electric sit down forklift is an excellent piece of material handling equipment being offered by TMH. This electric lift comes equipped with a side shift, 218" maximum mast height, a 48 volt battery and smooth cushion tires. 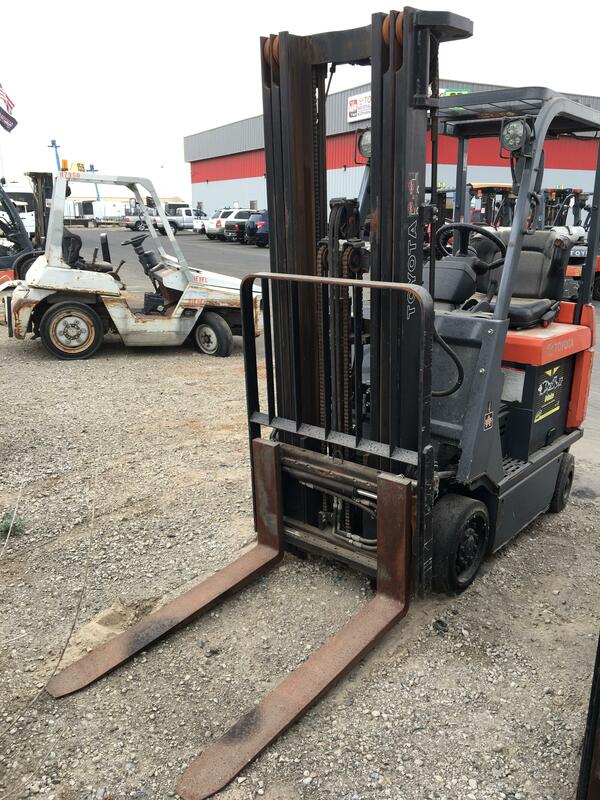 This used 2012 electric sit down forklift is an excellent piece of material handling equipment being offered by TMH. This electric lift comes equipped with a 260" maximum mast height, a sideshifter, and cushion tires for added convenience. 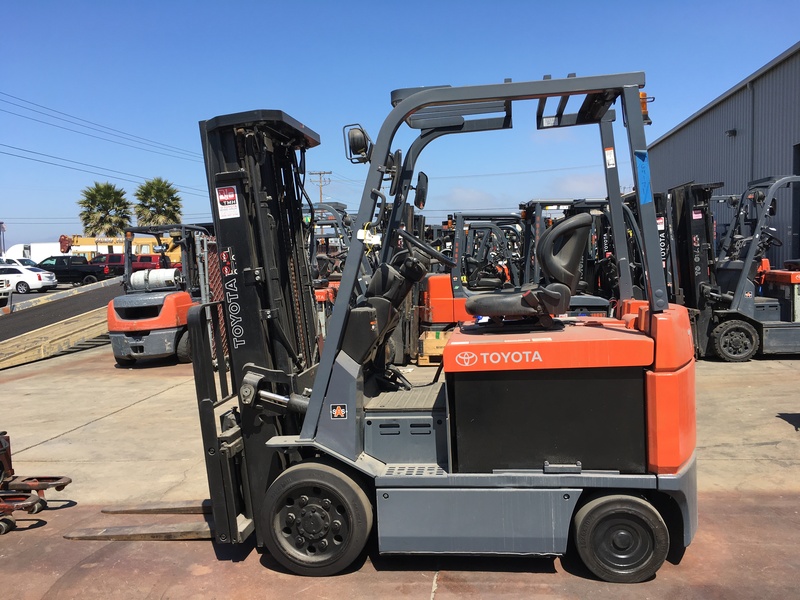 This used forklift fatures smooth cushion tires, and is an excellent piece of material handling equipment being offered by TMH. The 48 volt electric lift has a 189 inch maximum mast height for added convenience. This is used electric sit down forklift is an excellent piece of material handling equipment being offered by TMH. 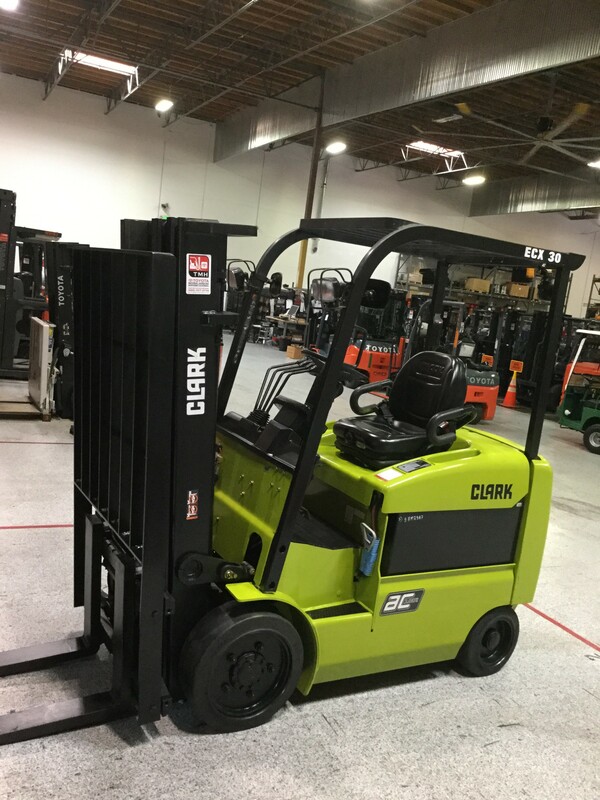 This electric lift comes equipped with a 187" maximum mast height, a side shifter and solid pneumatic tires. This electric powered is perfect for small to medium-sized loads. This used 2011 electric sit down forklift is an excellent piece of material handling equipment being offered by TMH. 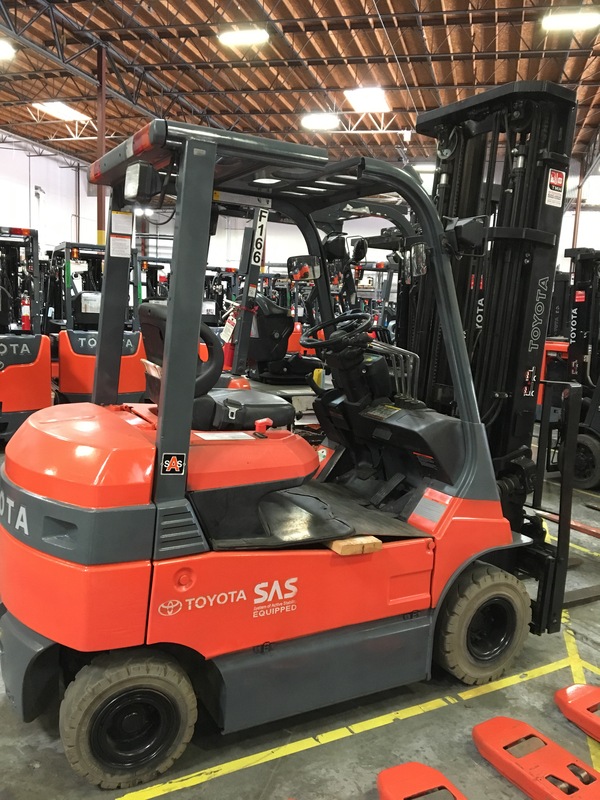 This electric lift comes equipped with a 238" maximum mast height, a sideshifter, and pneumatic tires for added convenience. 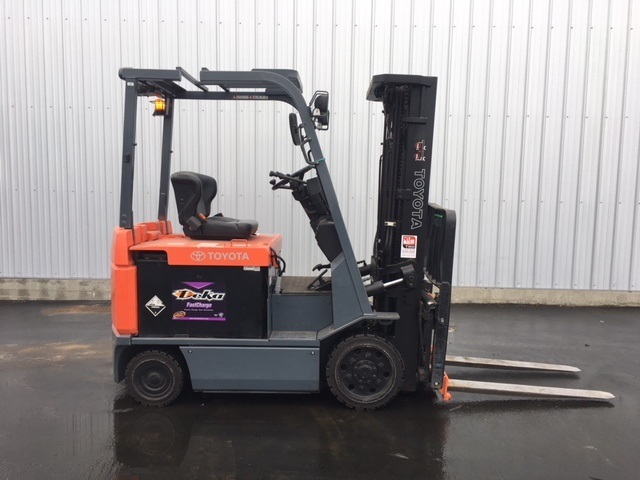 This used forklift fatures smooth cushion tires, and is an excellent piece of material handling equipment being offered by TMH. The 48 volt electric lift has a 187 inch maximum mast height for added convenience. This used 2011 electric sit down forklift is an excellent piece of material handling equipment being offered by TMH. This has 36 Volts with side shift, has 8,607 hours and 189" maximum mast height. This electric powered lift is perfect for smalll to medium-sized loads.